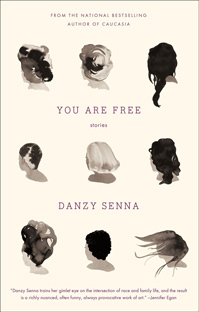 Be sure to hit up your local bookstore and pick up Danzy Senna’s new story collection, You Are Free. I am very excited to dive into this one, it has already received some good reviews! Check it out here, or also see Senna’s website. Also! Be sure to stop by the Mixed Roots Film & Literary Festival’s fundraising site on Indiegogo and donate what you can! This is such an important event for mixed stories, and I am SO excited to be doing a reading there on June 11th; especially considering I will be in the amazing company of some of my writing heroes, such as Nina Revoyr & Susan Straight! Next Post Mixed Roots Festival in NY Times! I’m looking forward to seeing you read at Mixed Roots!